These Photographs show Sway Road at its junction with Chemical Road. 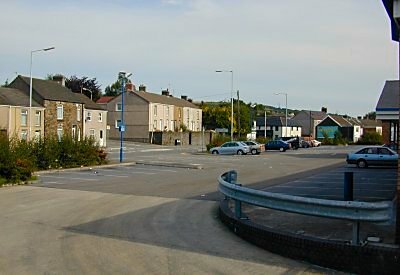 Lidl supermarket occupies the site today but in 1912 the busy Morriston canal ran through here while in the background is St. Teilo's church at the junction with Chemical Road. 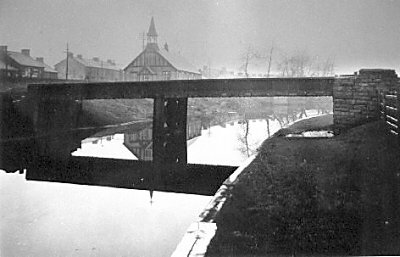 The canal closed to all trafic in 1931 and was finally filled in and landscaped in the 1970's. To see both photographs in black/white, click on the top (colour) photograph or click for the Set 4 - Pentrepoeth Road.